We’re all familiar with the idea that our mindset shapes our ability. What is not always easy to pinpoint is how we are getting in our own way. 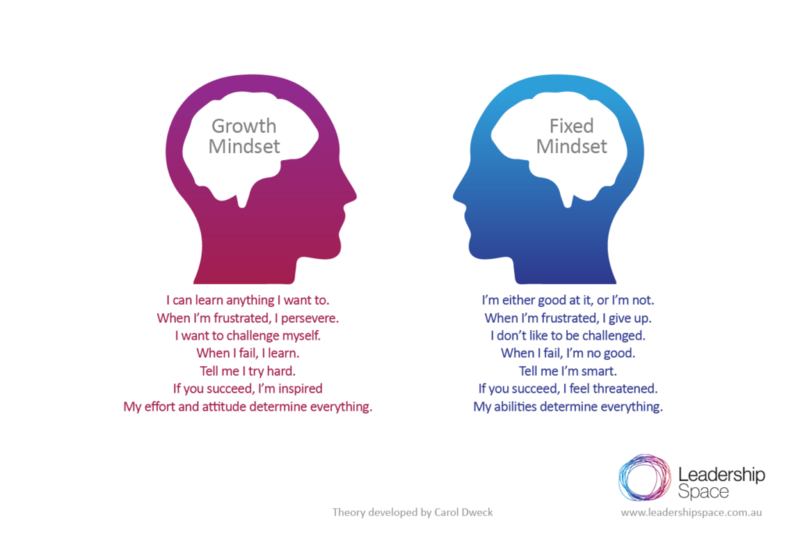 The concept of having a Growth versus Fixed mindset is a valuable tool to stimulate insight. It was developed by pioneering researcher, Carol Dweck. To help see how these mindsets play out, let me share a personal example. When I was growing up, my parents had a strong Growth Mindset on physical challenges. We were some of the youngest kids ever to hike the Routeburn track in New Zealand. The same was true of learning. One of the most powerful beliefs my father used to repeat was the slightly overblown but compelling notion that you can become a global expert on anything in 5 years. Artistic and musical talent however fell into the ‘you either have it or you don’t’ category. For that there was a Fixed Mindset. It can be surprising to think about the attitudes you grew up with, and how they’re playing out as an adult. Check out the summary below and think about an issue you’re working on or struggling with. You might like to ask yourself some of these reflection questions. Am I veering towards a Growth or a Fixed mindset on this particular issue? What mindset do I want to adopt now? What specifically do I need to adjust in my thinking that would give me more of a Growth mindset? Watch Carol Dweck’s TED talk. Learn more about how we can help you fulfil your potential.